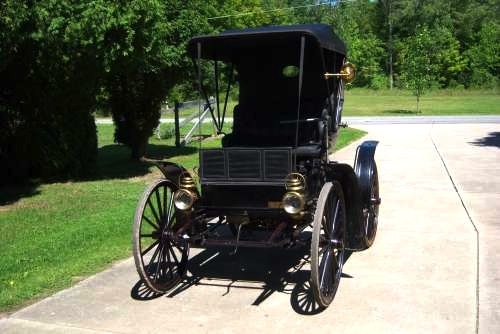 The Antique Car Era occurred during the Brass Car Era and Electric Car Era at a time when automotive pioneers were trying to adapt gasoline engines to most anything on wheels. Antique cars were the first mass produced vehicles with gasoline engines, immortalized by Henry	Ford´s "Model T". They were at the forefront of quality control, standardized parts - and the industry itself. Steam power proved too complicated and cumbersome and electric motors were limited by battery technology and speed, as they still are today. But as gasoline became cheap and plentiful it encouraged both two-stroke and four-stroke engine development. By 1910 there were over 500 companies competing for supremacy. But by the time the Great Depression hit in 1929, only 60 had survived and twelve years later there was less than 20. The early cars were built in back yards and barns, with more wood than steel. There were no guarantees or repair facilities and buyers were left to their own devices to keep them on the road. They were a significant investment that only the well-to-do could afford but they were far from luxurious. The engines had to be started with a crank that frequently kicked back and could easily break your arm. It took two strong arms to turn the steering wheel. There were no doors, or heaters or windshield wipers. And when headlights were finally added they had to be lit with a match. In addition, gasoline was not always easy to find and the lack of roads coupled with crude tire technology resulted in all to frequent flats. However, it was an exciting time for inventors and entrepreneurs and names like Ford, Daimler, Chrysler, DeSoto, Dodge, Studebaker, Oldsmobile and Hudson became household names. Up until 1920, when the average worker earned less than $1500 a year, automobiles were hand made - one at a time - and could cost $3,000, $6,000 and even $10,000 dollars. Then Henry Ford revolutionized the industry by utilizing the assembly line and pre-manufactured, replaceable parts. It was the beginning of the Industrial Revolution. The "Model T" Ford sold for less than $300, putting it within reach of millions of people, and the automobile industry was born. The affordable automobile became a national sensation and more cars begat more roads, more gas stations and drive-in restaurants and movies. Taking the family for a Sunday drive replaced an afternoon walk in the park. More roads meant people could go further quicker and the suburbs were born. Henry Ford started the frenzy but it took the likes of Alfred P. Sloan to perpetuate it from year to year with the Chevrolet and ´planned obsolescence´. Ford sold millions of no-frills black "Model T" Fords while men like Sloan saw the value of enticing people with new gadgets. Annual offerings of handy accessories, such as the electric starter, headlights, synchromesh transmissions and trunks kept the industry alive and customers drooling for more. The beginning years were wild and exciting as manufacturers, employees and customers pushed and shoved for their wants and rights. Plants produced pollution without regard; employees went on strike and formed unions; and the customer ruled - developing an insatiable appetite for more and more and more. But it was a new road of opportunity, filled with potholes and perils, leading to setbacks and heartbreak. The first obstacles came with World War I, leading to the Vintage Car Era, then came the Great Depression and World War II, leading to the Classic Car Era. Most antique vehicle collectors collect cars but antique motorcycles, pedal cars, travel trailers, trucks and fire engines are also popular items. Whether it be an early Harley Davidson motorcycle, Air Stream travel trailer or an old Brockway fire engine there is somebody out there who will buy it. Museums and private collections generally have the best examples of antique vehicles but there are many antique car clubs, such as the Antique Automobile Club of America (aaca.org), who represent a multitude of private owners. 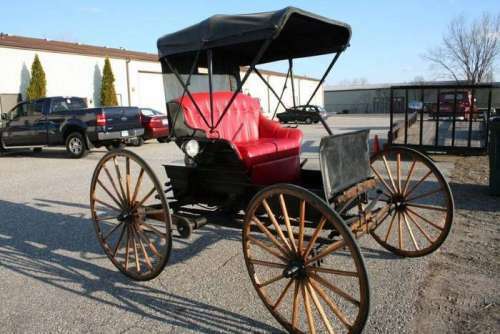 If you are looking for an antique vehicle watch your local newspaper for antique car shows, a popular way to show off vehicles and attract buyers. For pictures of some of the best antique cars and trucks advertised on AntiqueCar.com, visit our Antique Car & Truck Photo Gallery.